Recall there was tension between Thin Tall Tony (TTT) and Queen Bee, Bisola, which arose from Bisola finding out that TTT was married but lied to her that he wasn't during their affair. Well, the two have since settled and can be seen in the above picture almost close to each other. 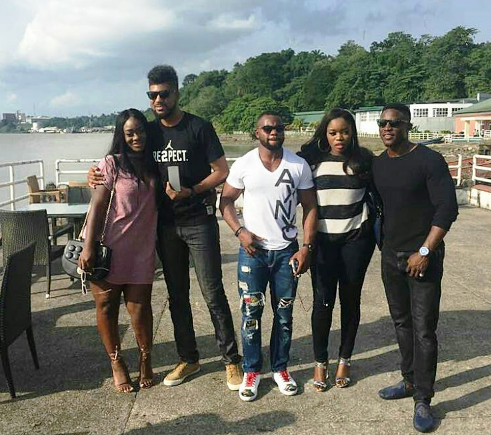 They were pictured with other housemates including Uriel, Kemen and Bassey at the Cross Rivers at 50 ceremony that took place yesterday.